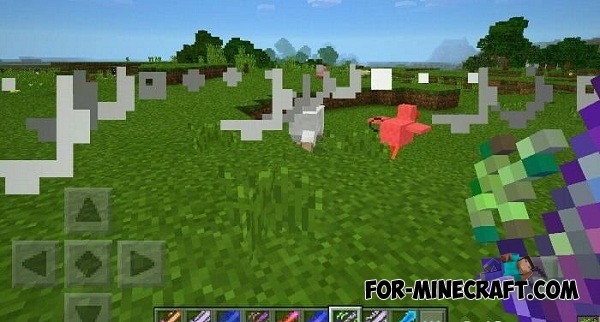 The Elemental Swords mod adds 9 new unique types of swords in Minecraft PE. Each sword has a unusual strength associated with its elements. 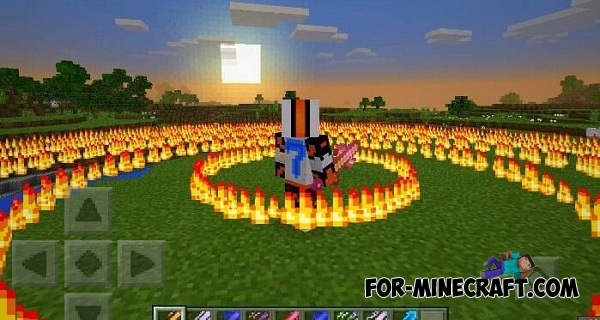 For example, the first sword can create a devastating tornado, which will throw up all mobs into the air, the other sword can ignite mobs by lava, etc. Here is a brief description of some of them. Fire sword is the most powerful weapon of all at the moment. This sword can create a fiery wave of 15 blocks around you. Ocean sword can attack enemies by powerful water jet. Thunder sword has the ability to attack with thunder and a flame of fire. In order not to keep the swords in the chest, you can download the Sword Pedestal mod. To install, use the latest version of BlockLauncher. How to install the Elemental Swords mod? 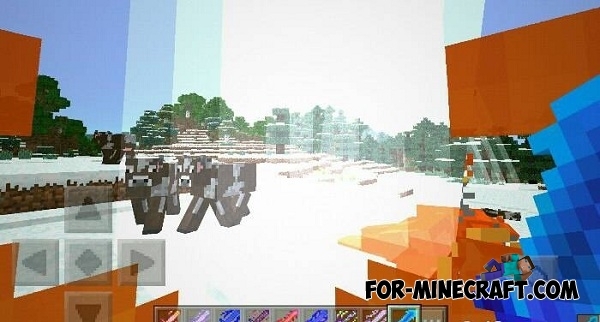 Elemental Armor mod for Minecraft PE 0.11.1 / 0.11.0You can create a special table for the manufacture of new sets of cool unique armor! How do install the mod?